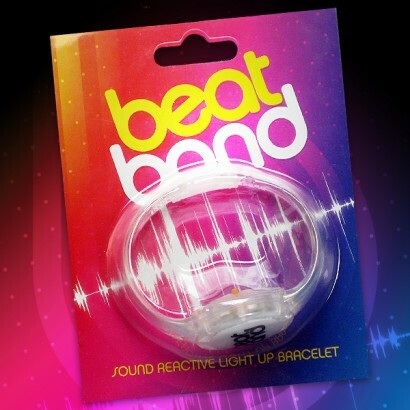 Flash, shine and dance to the beat in bright and funky Beat Bands! 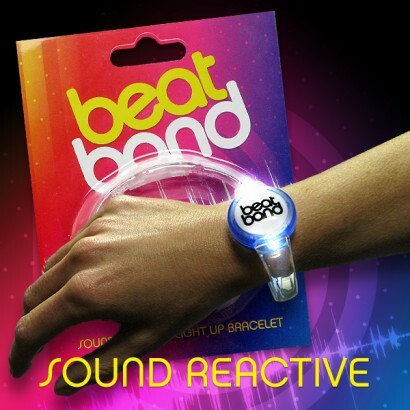 A funky translucent rubber bracelet features a sound reactive unit in its centre, surrounded by super bright LED’s. 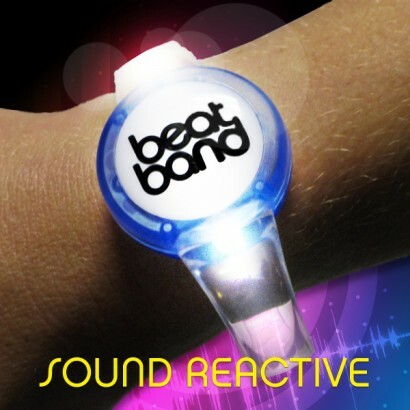 As the music drops, these awesome LED Bracelets will flash along to your favourite tracks. 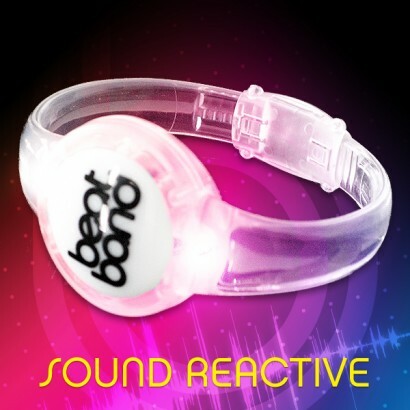 Achieve an amazing effect when the Beat Band is worn by a large crowd of people, for example in a concert audience or nightclub, as the beat of the music makes all Beat Bands worn by the crowd pulse together in sync to create a stunning visual result. Over 24 hours constant use!